If you are thinking to start up a new business with a strong online presence, the foremost thing to consider is a selection of genuine theme. 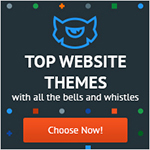 There are thousands of themes around the web, you can easily browse them in one minute. But are they perfect for your website? Do they comprise all the essential features that you need to create a complete business site? Do they provide support if you need? Before starting your online business project, the first thing you need to think is how your site is going to look. It’s really important to engage the audience by offering high-quality content. So, this is the main reason that you need to use premium themes. 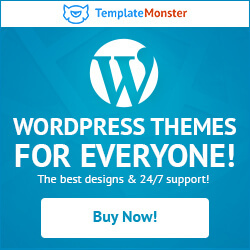 Often people ask how premium themes are best, so one of the main reason is you will get guaranteed support if you use this theme. And when we talk about free theme then, you don’t get any guaranteed support. The premium themes are not that expensive that you think. It only cost $45 to $99, whereas you need more amount to complete your website. On the other hand, when you use premium themes and pay for them you will get good documentation, regular updates and access to support. And the good thing is that some of them even offer you demo content, video tutorials, and a free blog setup services too. 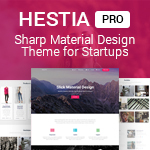 Beside this, premium themes will make your website more stylish and unique because most of the websites are built using free themes. There are numbers of WordPress theme companies that produce well-designed and feature-rich themes. 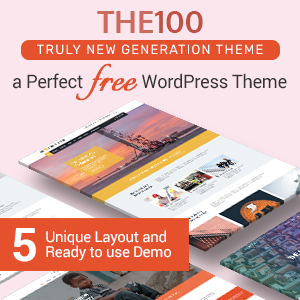 There are free and premium WordPress themes that are available on the market. If you are looking for premium themes, then you might be thinking that all the marketplaces are not legit and safe. And also you may think that there are few scam and low-quality marketplaces that might trouble you when you purchase them. 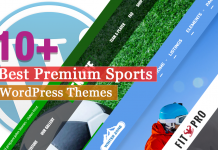 So, here are the best places from where you can get the perfect premium themes that you want, just click here. These are really crucial before starting your new business website. We understand going through all the themes one by one, analysis their features is a tiresome and moreover a time-consuming task. So to help you, here we have made a collection of Best Premium WordPress Business Agency Themes for 2018. The listed themes are carefully handpicked and well tested. They are 100% responsive, truly genuine and trustworthy. We have selected the theme on the basis of its popularity and simplicity. These themes comprise powerful features and functionalities along with visually appealing designs. The themes are worth the cost. 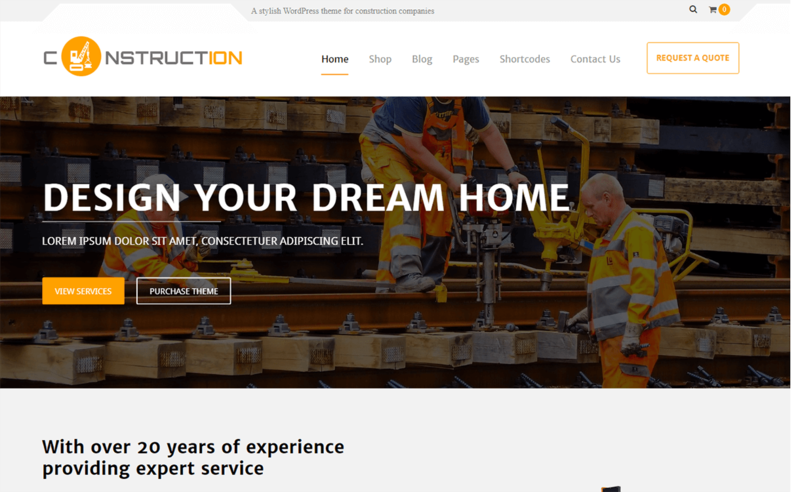 Constructera is a simple and clean design premium WordPress business and construction theme.The theme is fully responsive and well-optimized with beautiful design. It is perfectly designed for creating a business, eCommerce, corporate, personal or any kinds of creative websites. The theme offers many useful and powerful features or functions that are easy to use and understand. The theme is a complete WordPress theme that offers support for its users, top-notch design and unlimited customization possibilities. It looks awesome on all the devices and compatible with the entire browsers. 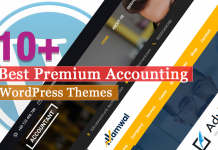 AccessPress Parallax Pro is a premium theme with more than 13 widgets, over 11 shortcodes, 600+ fonts, a drag and drop page builder and tons of configuration options. This theme comes up with an advanced theme option panel alongside advanced breadcrumbs and social links settings. You can enjoy multiple header layout options and customize every nook and corner of your parallax sections with this theme. AccessPress Parallax also allows you to configure and customize your menu in any way you like. Uncode Pro is a premium business/corporate WordPress Theme by AccessPress Themes, released on 21st November 2016. 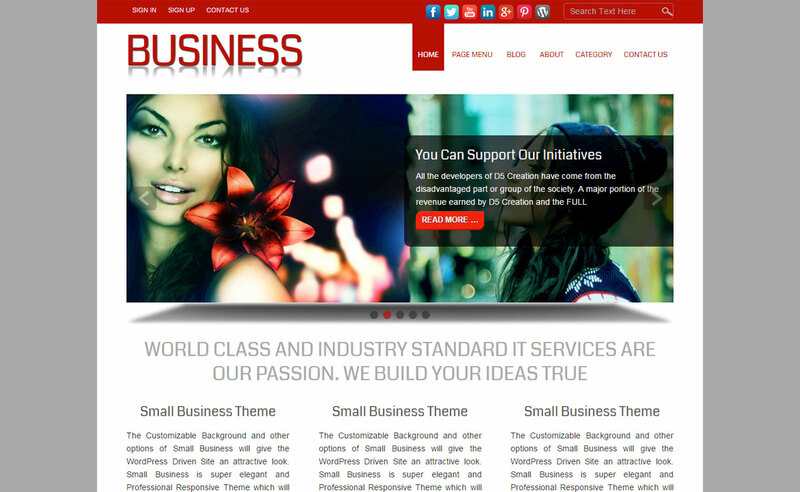 It is a fully responsive theme perfect for all size business, company, corporate and other creative agencies. The theme offers various customization possibilities and multiple options – anybody can create a complete business site in no time. The Monday Pro is a feature-rich premium WordPress theme for all size business websites. It is a fully responsive one-page theme with a cool parallax scrolling design. It comes with a user-friendly interface, anybody can create an awesome website with an ease. The theme comes with detailed documentation and top-notch customer support. Unicon Pro is yet another elegant WordPress business theme loaded with plenty of powerful features and functionalities. It is a modern theme, best designed for business, corporate, personal blogs, portfolio, and other related websites. It is a highly customizable theme – you can configure design, settings and other elements as per your requirement. The theme is easy-to-use, simple and fully responsive. 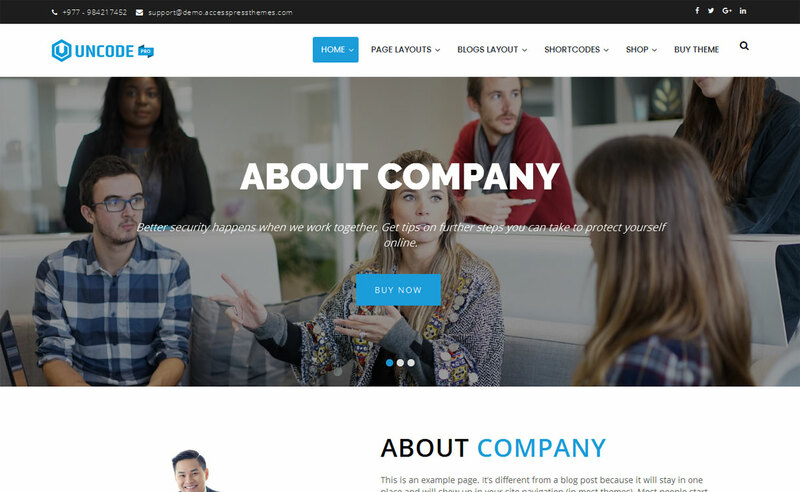 An ultimate premium WordPress theme – WP Corporate Pro is ideal for business, corporate and creative agency websites. It is beautifully designed and neatly coded. The theme offers tons of customization possibilities and multiple options. It is best optimized for better SEO performance and fast loading speed. With WP Corporate Pro – create your dream website in no time. 8sec Pro by 8Degree Themes is a versatile WordPress theme that can be best used for business websites. The theme has 3 beautiful demos, you just have to choose one that better fits your requirement, import the demo data and start customizing. It is a fully responsive theme that looks great on screen size and works fluently across all major browsers. Another theme that is good and flexible for making different types of website is WP Generic Pro. WP Generic Pro is a premium generic WordPress theme that is ideal for business, agency, e-commerce, blog, freelancers, etc. It is easy to use and understand though, the features are advanced. This theme is fully customizable so that it makes easier for users to build a website in a simple way. The theme is fully responsive that includes full-width and boxed layout. 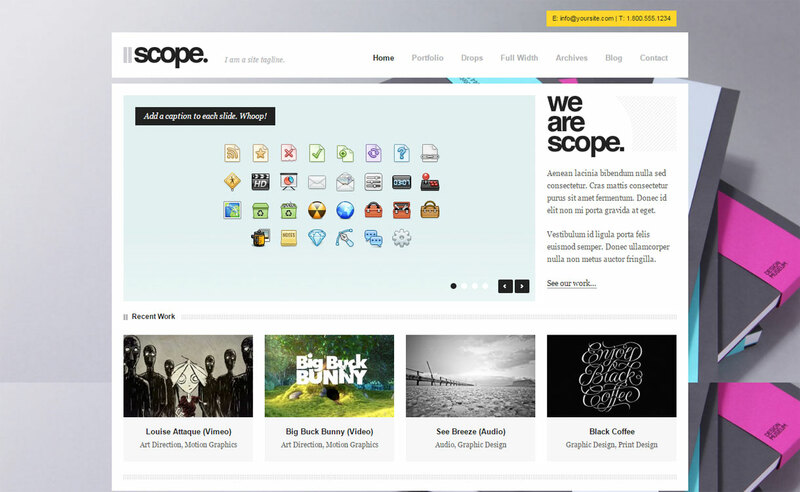 Scope is a powerful WordPress business template best designed for creative agency, freelancer, cooperatives, freelancer and different business niches. It comes with a clean and fresh design. It allows you to customize the theme however you like. 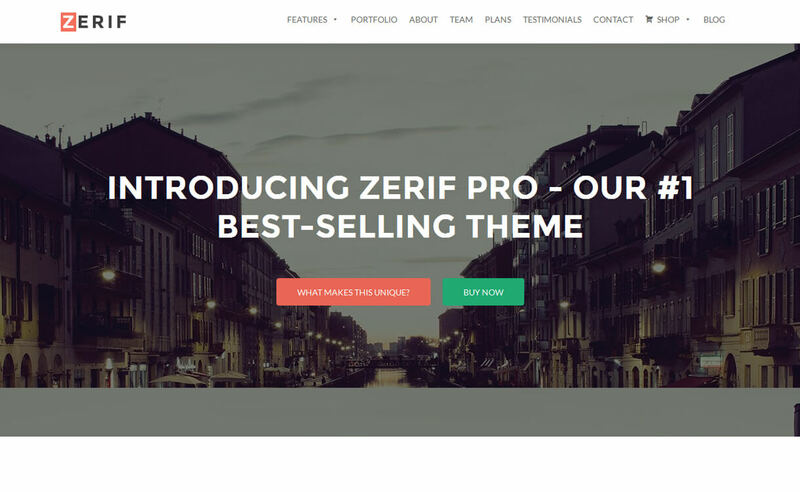 Zerif Pro is a beautiful premium business WordPress theme with parallax scrolling design. The theme has a clean and visually appealing design to grab viewers’ attention and finally make your business a successful one. It has powerful theme options panel to customize the theme completely. It is fully responsive theme with great clean and validated code structure. 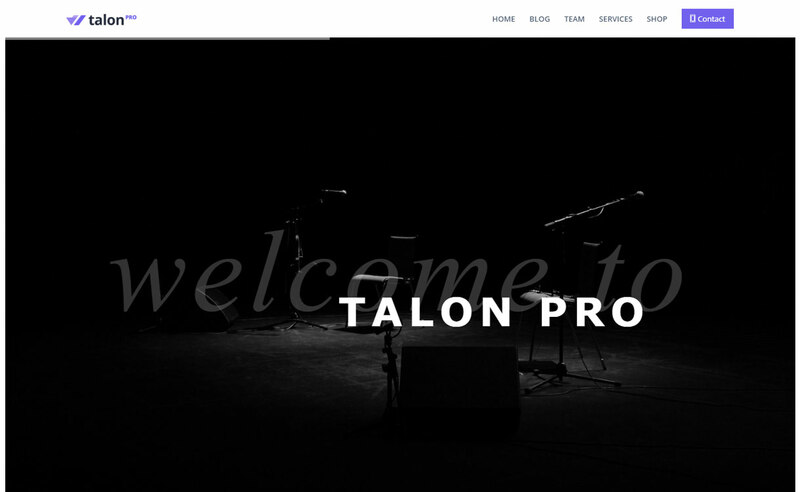 Talon Pro is a multi purpose business WordPress theme by aThemes. This theme is a perfect combination of modern design and stylish layout. Hence, it is perfect for businesses, agencies, freelancers and all those who are looking for a modern and flexible theme. Freeman is another clean and modern design awesome premium WordPress theme that includes lots of creative and high-quality functions. It has the easiest ways to customize the settings. 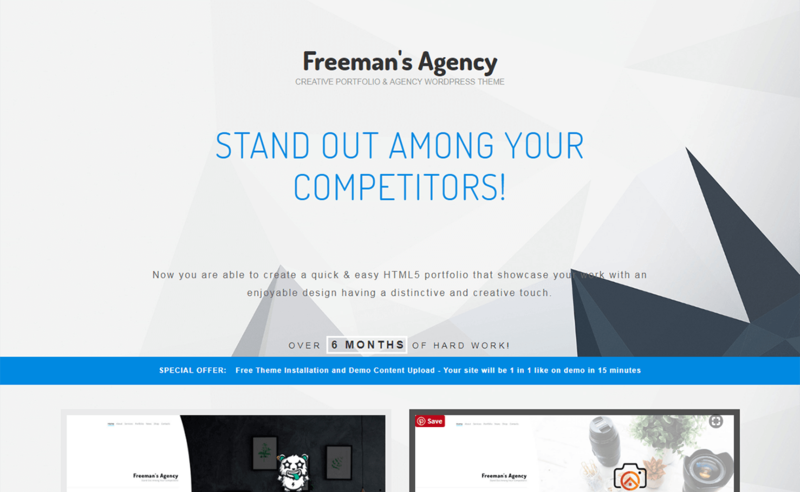 Freeman is an e-commerce, portfolio, and agency WordPress theme. You can easily create the HTML5 portfolio that showcases your design in a faster way. 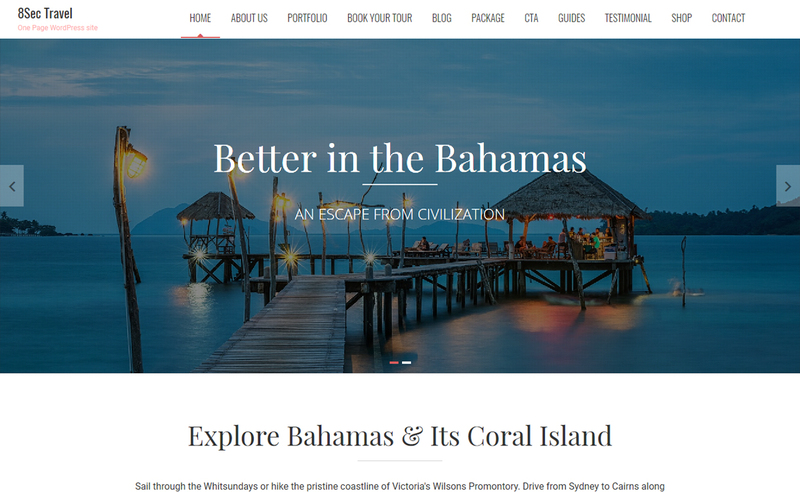 The theme is compatible with WooCommerce and visual composer. It mainly focuses on typography, usability and user experience. The most famous drag and drop page builder is also available that comes with many unique elements. Klin comes with a simple and clean design with many advanced features. 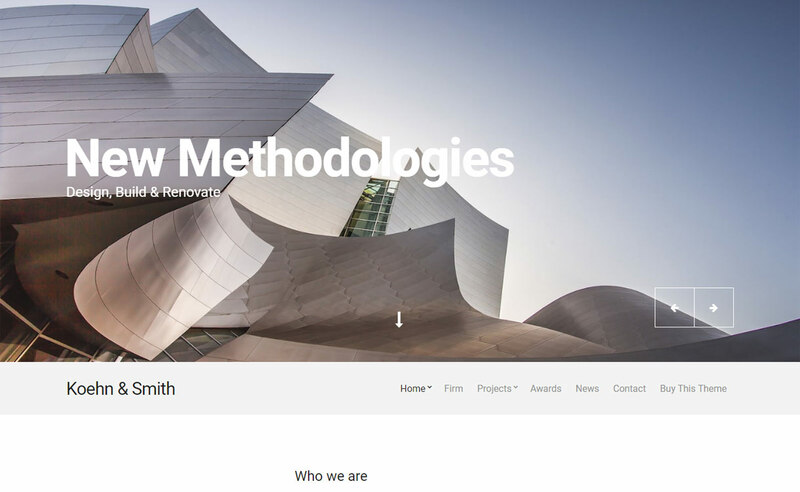 This theme is a multipurpose Portfolio premium WordPress theme that is created for any project. It has drag and drop page builder that does not require any coding. The theme is responsive which looks good on all screens. Klin can be used on all sorts of businesses those who want to deliver their works in a beautiful way. The theme includes subtle transitions, navigation, and typography. 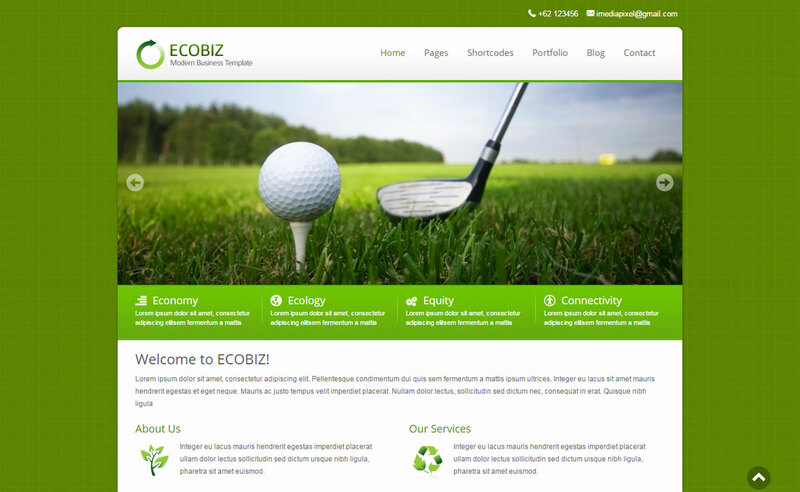 Ecobiz is a modern premium WordPress business/agency theme. It is ideal for creating eco/green business, portfolio, agency, organization website. Ecobiz comes with 6 predefined skins, unlimited colors, 3 slideshow types and much more exciting features. It is a simple theme with an intuitive interface. 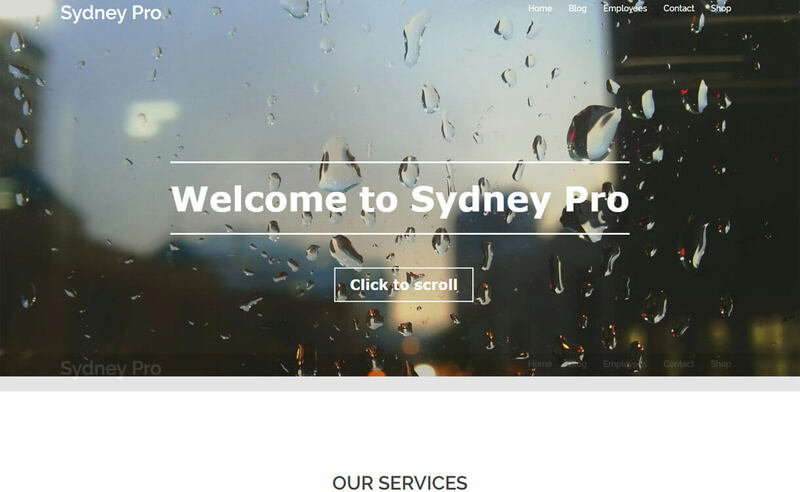 Sydney Pro is a powerful premium business WordPress theme with amazing features that help to uplift your online business to a higher level. It has got abundant customization possibilities so that you can make changes as per your wish and create a perfect website in no time. 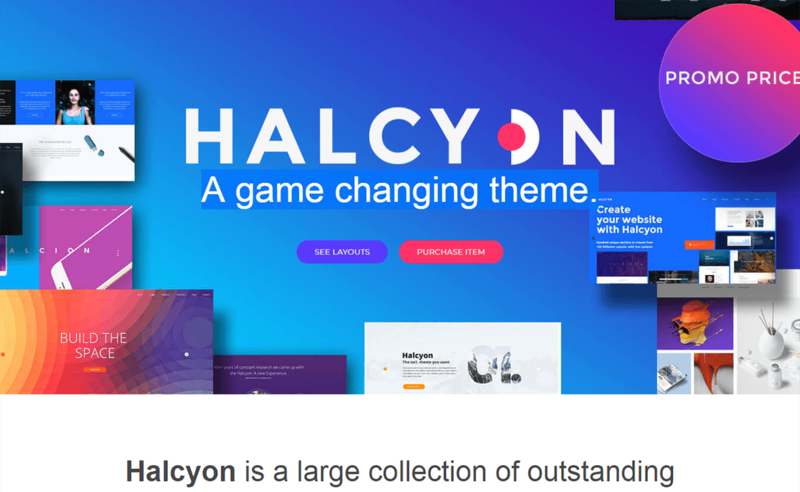 Halcyon is a premium multipurpose WordPress theme. The theme is the perfect one for any types of business or individuals to create a beautiful site. It is a complete package with a large variation of footer and header styles, 30 different homepage layouts and many numbers of elements and sections. In this theme, some pages are suitable for creative, some for personal use and some for business purpose. 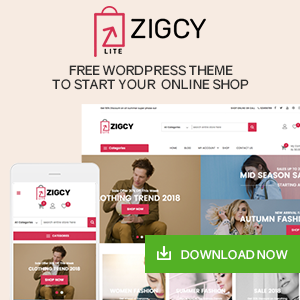 This theme is simple and easy to use and understand that has a clean and modern design from which you can create a website and also has the child theme. Smallbiz is a clean, simple, elegant premium business WordPress theme perfect for small business and startups. It features a wide variety of different page layouts which helps to represent your company or business. Hence, it is responsive and retina ready. 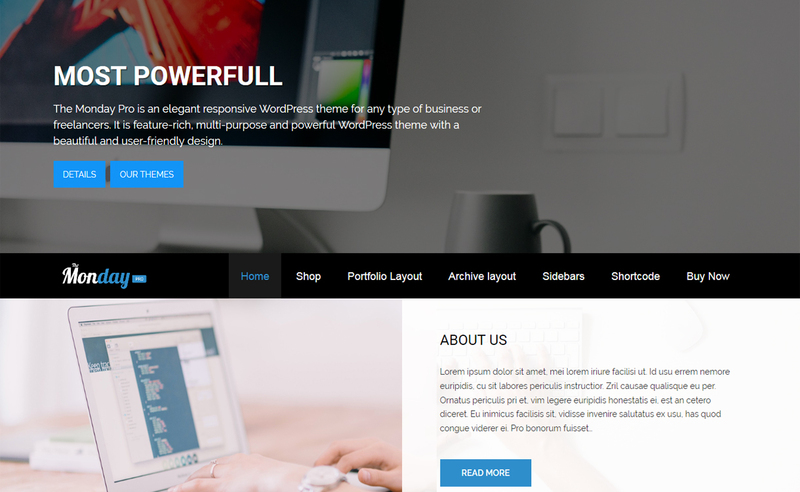 Looking for a slick WordPress theme with powerful features to run your business website with? If yes, check out the Simple WordPress theme. This premium template comes with lots of options, including multiple page layouts, hundred of font choices, and unlimited color variations that will add to your branding options. Clean and lightweight code, along with powerful SEO tools, means your website will load super fast and rank high in search engine results. Additionally, social media tools are provided, so you can easily promote your business on social networks. 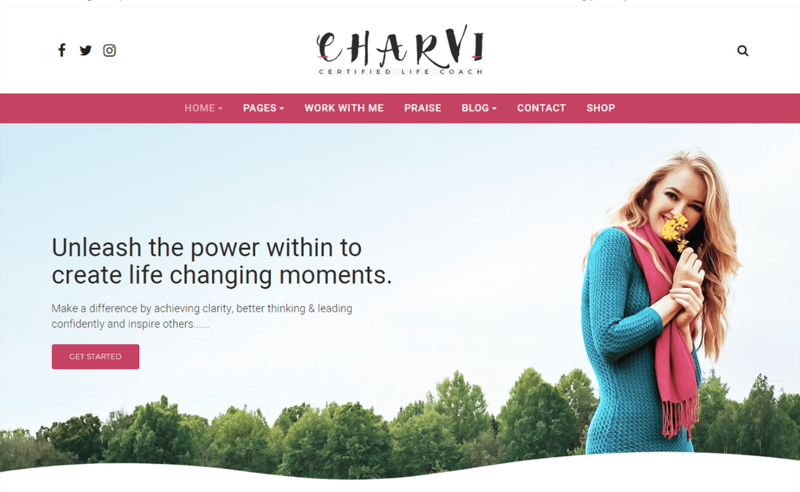 Charvi Coach and Consulting is a premium business WordPress theme. This theme is perfect for any kinds of businesses and optimizes for the business coach, career coach, family coach, leadership coach, and much more. It has many useful features with the stylish outlook. 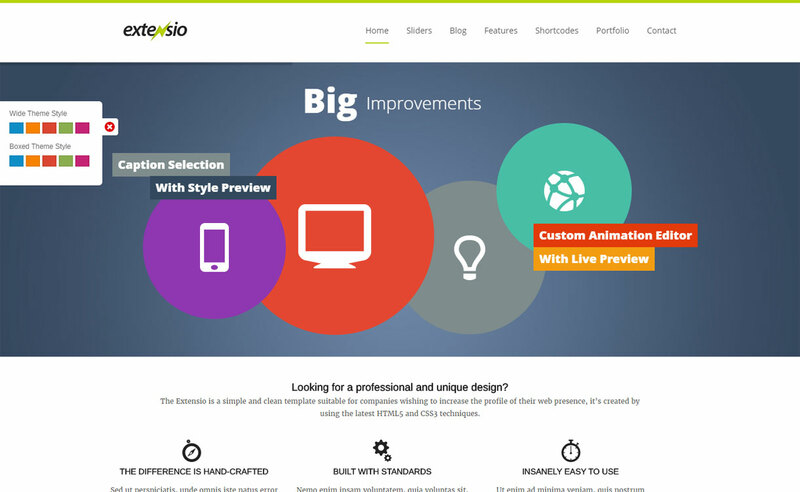 The theme has color settings and logo settings that is built on the Bootstrap 3 framework. Charvi Coach is compatible with the free version of Elements Page Builder. With the help of one click demo, it is easy to set up. 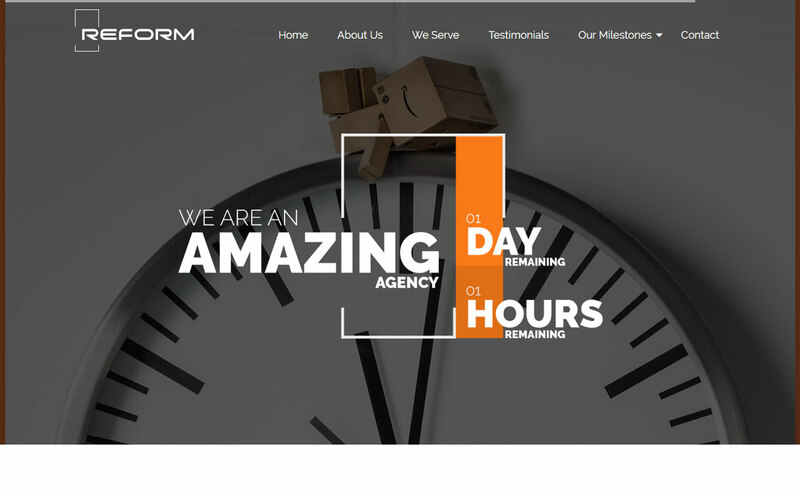 Reform is an intricately crafted premium business WordPress theme by Sketch Themes. It is fully loaded with many advanced features in order to meet your business requirement. It is a responsive theme perfect for all size business like construction, startup business, corporate business and other creative business. 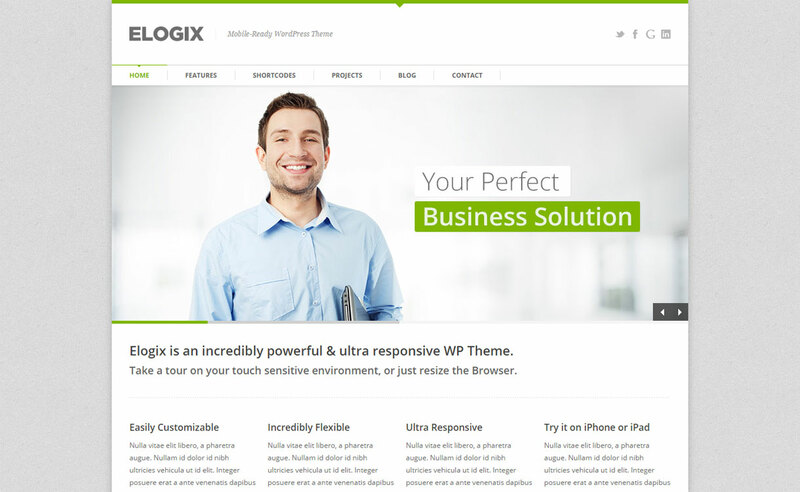 Elogix is a versatile business WordPress theme with a clean and responsive layout. It is a perfect theme for portfolio, creative, blog and all type business websites. Elogix comes with the highly customizable framework, you can configure each and every element right from the backend. It is a fully SEO friendly theme. 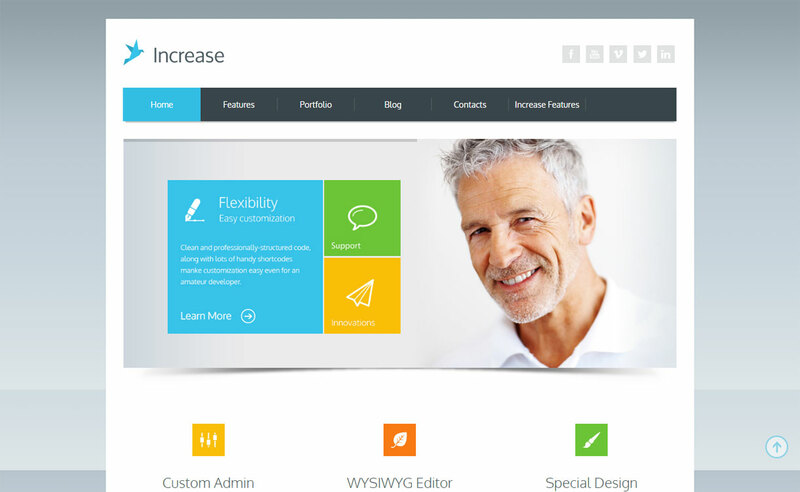 Increase is a premium WordPress business theme with lots of powerful features. It is best suited for all kind business/agency websites, fitness, interior and other creative sites. The theme offers great customization possibilities, you can completely turn the theme into a custom designed website. It comes with easy-to-use options panel – you don’t need to touch a single line of code. 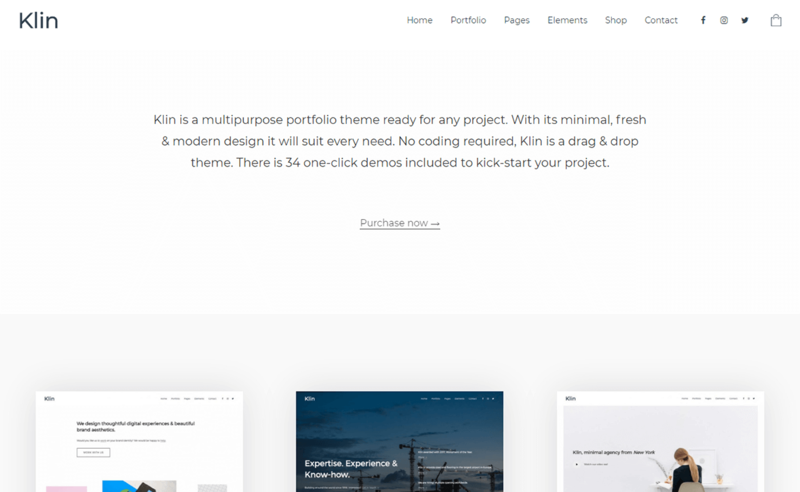 Koehn is a clean, minimal, beautiful premium business WordPress theme that is used for displaying high-quality WordPress works. It features flexible layout options which help to display your portfolio in a modern way. This feature-rich theme is inbuilt with an intuitive drag and drop page builder which helps to build your website exactly the way you want. Featured is a premium one-page business theme that helps to uplift your online business. It features a powerful section order that can easily change your page section and also hide them as per your requirement. Use live customizer to customize your site and see changes in real time. Moreover, it is responsive and retina ready. 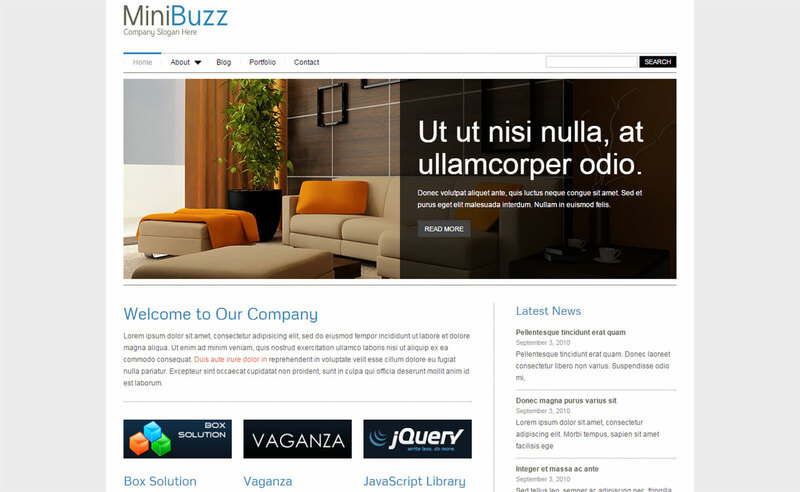 MiniBuzz is clean and minimal premium WordPress business theme by Templatesquare. It is a perfect theme for business, corporate, portfolio, gallery websites. It features simple and unbranded theme options, you can easily make changes and design your website as per your need. 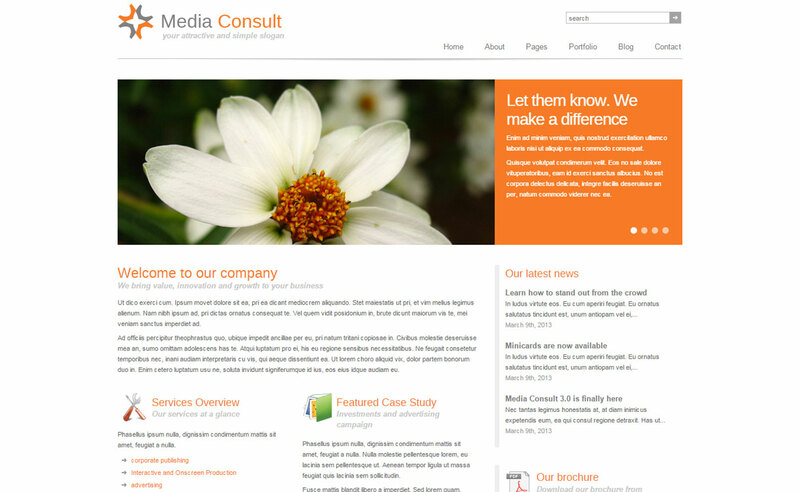 Media Consult is a modern premium WordPress theme best designed to fit a wide variety of business, portfolio, creative agency and personal blogging sites. It is designed and developed by Stareshade. It comes with lots of powerful features and customization options including 6 layout templates and 8 different skins. 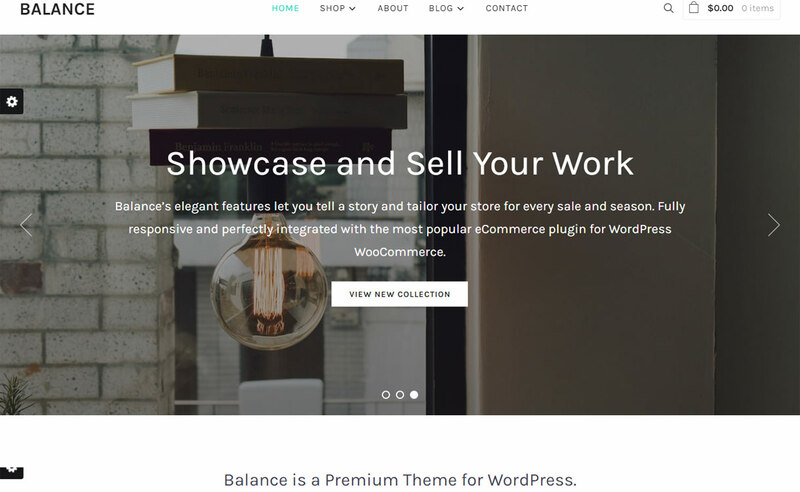 Balance is a flexible and feature-rich premium business WordPress theme by WPZoom. 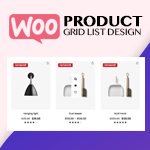 It features unique product grid and impactful white space cell which helps to grab the maximum attention of users. Moreover, it features a responsive layout which perfectly displays across mobile and tablet devices. 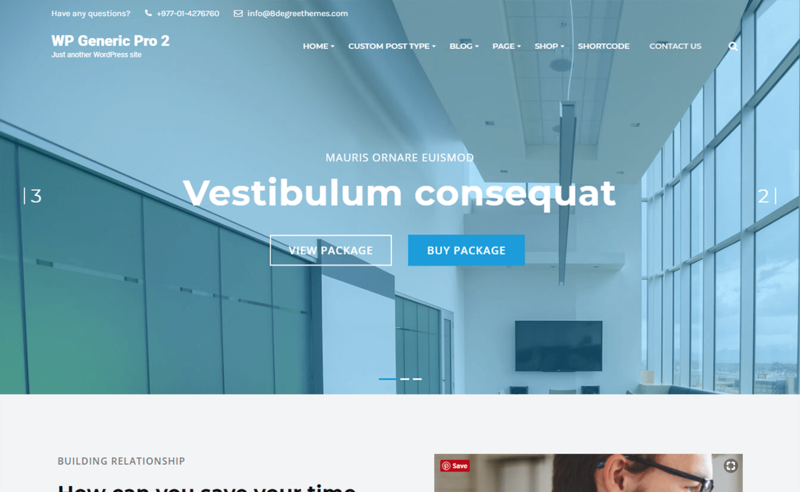 Extensio is a simple yet powerful WordPress theme for any size business website. It comprises responsive, elegant design that looks great on any kind of corporate, business, creative agency, company, organization websites. It includes 18-page layout with highly flexible design, you can desirable outlook to your website. 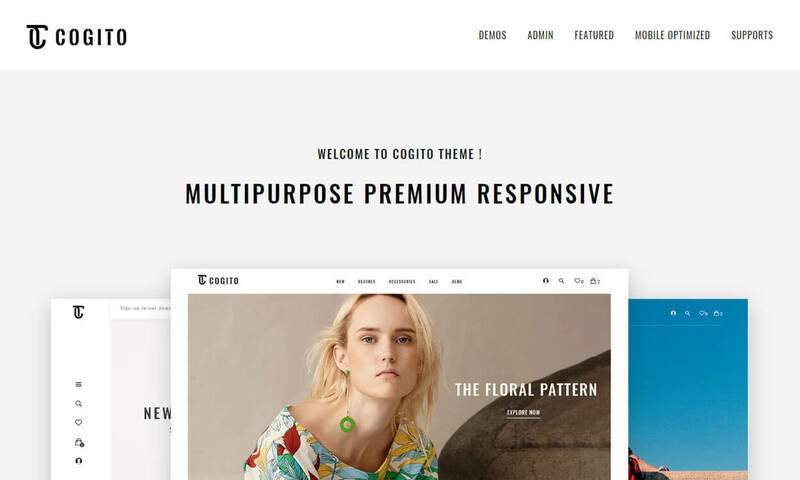 Cogito is a modern design premium WordPress theme that is perfect for e-commerce websites. The theme is included with multiple layouts of the homepage, the product page that helps in customization. It is not just a WooCommece theme but also can be used for creating different types of websites like the business, creative, news, corporate, etc. 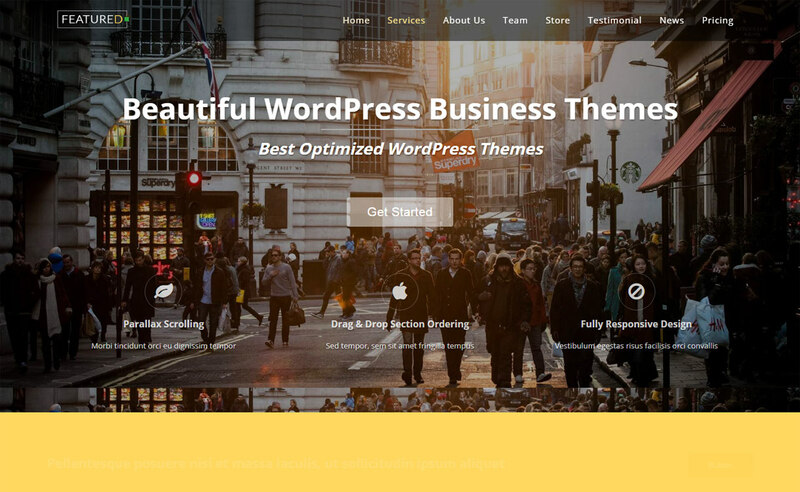 This theme is a professional theme that comes with lots of powerful features and variations. There are eight beautiful demos so you can choose the one that you like. 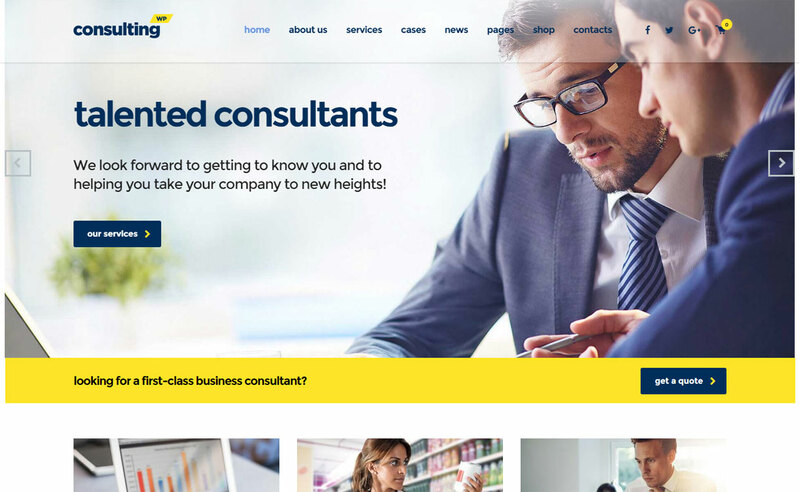 Consulting is a premium WordPress business and finance theme. It comes with 18 Custom demo layouts, you can use any that better fits your requirement. The theme is fully designed and developed as per the features needed to create a complete and successful business site. Did you like the list? 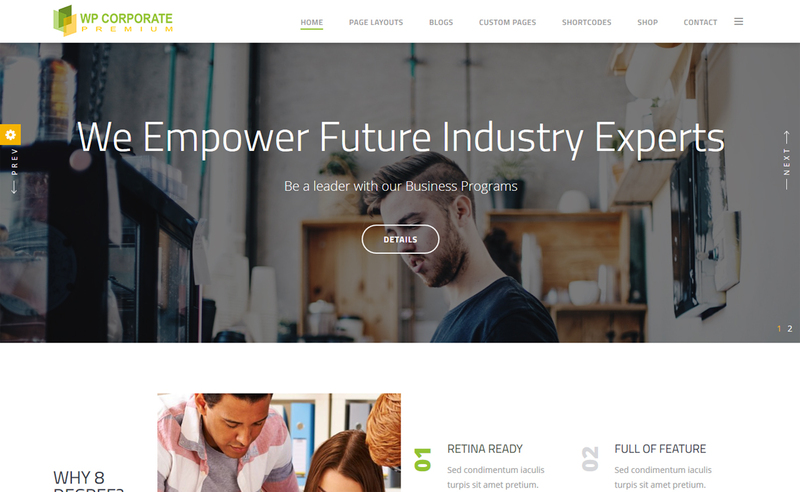 Hope this collection of Best Premium WordPress Business Agency Themes for 2019 was helpful for you. And if you are already using any of the above-mentioned themes, feel free to share your experience. Or if you have any theme suggestion for the list, please comment below. I would love to add it to the list. Your any suggestion and recommendation are highly appreciated. 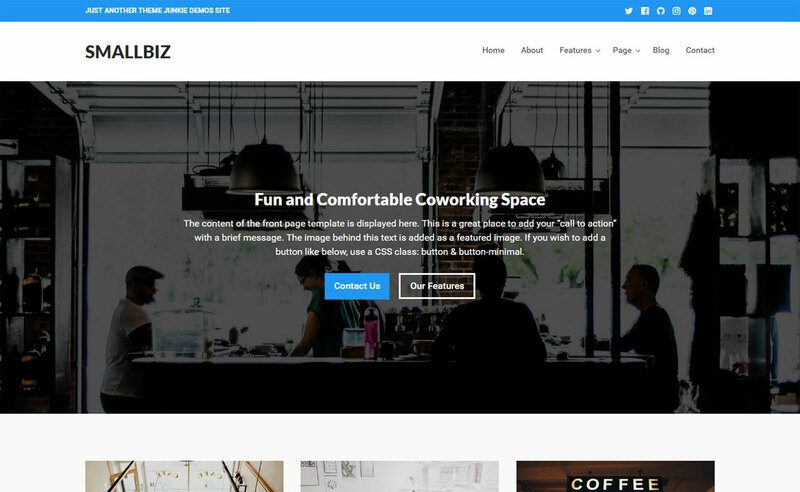 Hey Buddy!, I found this information for you: "30+ Best Premium WordPress Business/Agency Themes for 2019". Here is the website link: https://wpallclub.com/best-premium-wordpress-business-agency-themes/. Thank you.